I’d like to begin with a shout-out to my followers (yes, you! )—I don’t check my site stats all that often, but I’ve been putting together agent queries and I was thrilled to discover that my blog has received over 10,000 visits! To all of you who continue to frequent the site, thank you. It means more to me than you know (and might just mean something to a future agent or publisher, too!). georgialikethestate.com has over 10,000 views – thanks to you! Speaking of interest, I’ve been meaning to report that The Lucky Ones was a hit with my editor, Jane. She loved it! She called the story “amazing,” and then added, “but more importantly, your writing does it justice” (cue the exhale). Jane offered up several suggestions, all of which were spot-on. Whatever happens with the book, I will forever be grateful for her positive response and invaluable feedback. 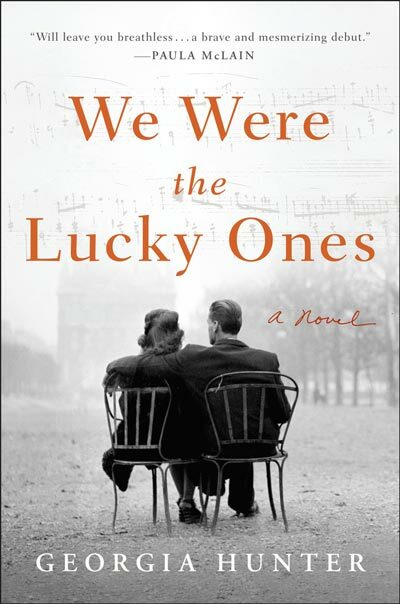 Also on the topic of interest, the story of The Lucky Ones has garnered its fair share of it since I left you last. A while back, I was approached by a team of Brazilian filmmakers for an interview. João, from San Paulo, and Marina, who lives in LA, are three years into researching and producing a documentary on the life of Luiz Martins de Souza Dantas, Brazil’s ambassador to France, who, in the early years of WWII, surreptitiously issued illegal Brazilian visas to hundreds of European Jews (my grandfather was one of them). I invited my mother to take part in the interview, and she and I had a lively conversation with João and Marina via Skype—we shared the details of my grandfather’s story and they shared the details of Souza Dantas’s remarkable personal and professional life. 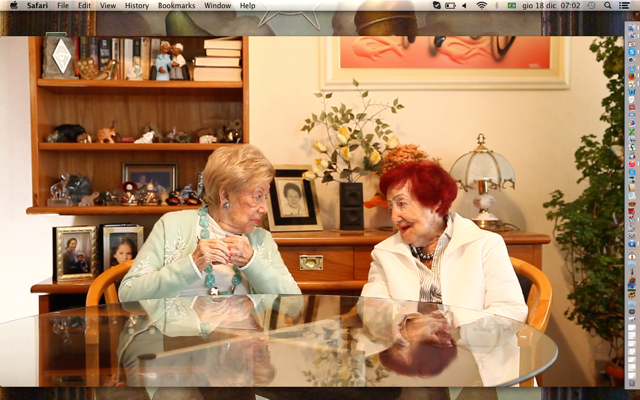 Before logging off we agreed to meet in person for a filmed interview in New York. I’ll let you know if The Ambassador makes it to the big screen! Just last week, I received another request for an interview, this time from the Red Cross. 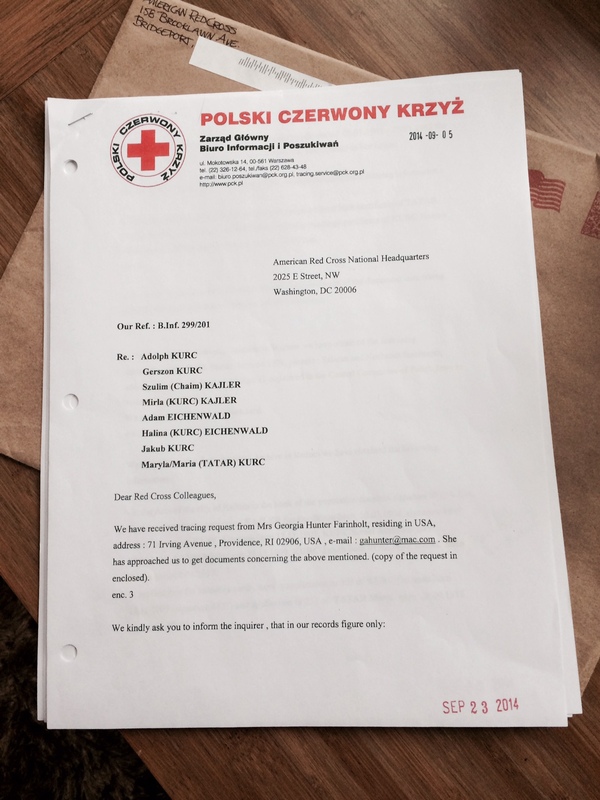 I’d contacted the Polish Red Cross by mail back in 2011, in hopes of tracking down family records. When I didn’t hear back, I figured their search had come up empty. And then, amazingly, an envelope arrived last fall. The Polish Red Cross had, indeed, found records: birth certificates from a Registry Office in Radom; applications for ID cards during Radom’s Nazi occupation, marked with the seal of the Supreme Council of Elders of the Jewish Population; a hand-written record of circumcision (ironically for the relative who was later forced to “fake” a foreskin to dodge persecution); a record of a sibling registered as a survivor in ’46 with the Jewish Historical Institute in Warsaw. Three years after writing to the Polish Red Cross, over half a dozen records arrived at my doorstep. Jan, who sent me these findings, works from my local Red Cross chapter in Bridgeport, Connecticut. She’d spent some time on my site, she said—she was inspired by my research, and asked if she could learn more about my story and share it with the region’s staff and volunteers before Holocaust Remembrance Day in April. She hoped an interview might help spread the word that the Red Cross still provides tracing services for families of Holocaust survivors. I readily agreed, and Jan and I are set to meet in person next week. It’s gratifying to know that there are folks around the world as passionate as I am about researching and preserving the stories that define such an important chapter of our history. With fewer and fewer Holocaust survivors left to share their experiences, it seems now is the time to record what we know, and to search for what we don’t. So if you’re thinking of digging up the details of your ancestral past, I say grab a shovel! With organizations like the Red Cross and the US Holocaust Memorial Museum eager to help, sending an inquiry is easy. Even if your search yields something as simple as a name with a date, an address, or a birth certificate, it’s something—a sliver of a past life, a moment solidified in time and place, a detail that won’t be forgotten. And that, in my opinion, is worth digging for.